The Bluejays, winners of the National Vintage Award for Best Entertainment, are your hosts for an electrifying and authentic tribute to the era when music changed the world – the 1950s. Formed in 2013, after years of performing together in West End rock ‘n’ roll theatre shows such as ‘Buddy – The Buddy Holly Story’, ‘Million Dollar Quartet’ and ‘Dreamboats & Petticoats, The Bluejays took to the road creating one of the UK’s finest vintage rock ‘n’ roll experiences. 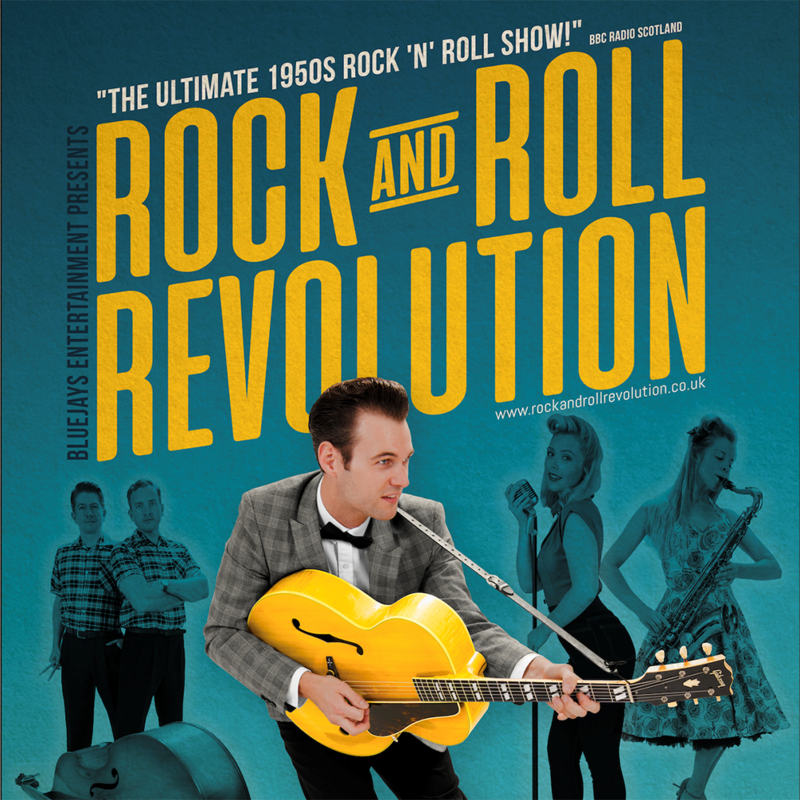 Their brand new show Rock and Roll Revolution is touring UK theatres throughout 2019 featuring hit after hit from the likes of Elvis Presley, Eddie Cochran, Chuck Berry, Buddy Holly, The Everly Brothers, Gene Vincent, Little Richard, Ritchie Valens, Dion and many more. Guaranteed to have audiences of all ages up and dancing all evening.